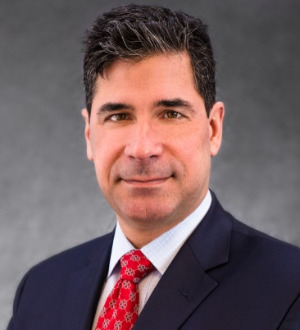 Paul Monte is co-managing partner of Peckar & Abramson’s New York City office. Paul has 30 years of experience in construction, public contract and infrastructure law. He has extensive trial, arbitration and appeals experience, successfully prosecuting and defending complex multi-million dollar disputes. He also has significant transactional and project support experience on cutting-edge infrastructure projects, including design-build and public-private partnership (P3) projects. Paul represents international, national and local contractors building public and private projects, including roads, bridges, tunnels, process and power plants, water and wastewater plants, utilities, railroads, high-rise and institutional buildings. As lead counsel, he has prosecuted and defended complex delay and other cost overrun claims, wrongful termination claims, and multi-district litigation involving construction and material defects. For years, Paul has provided transactional and project support services to contractors on major infrastructure projects. He regularly advises contractors and construction joint ventures during their pursuit of P3 and design-build infrastructure projects. Paul also counsels contractors in the area of corporate compliance and ethics, including DMWBE laws and regulations. Prior to joining P&A in 2007, Paul was a partner with Berman, Paley, Goldstein & Monte, LLP. He is also a former general counsel to a heavy construction company and builder. In 2017, Paul became a member of The Moles. That same year, he was recognized by Chambers and Partners as one of the leading construction lawyers in New York. Paul has been awarded Martindale-Hubbell’s highest AV-rating. He has also been repeatedly recognized as a Super Lawyer in Construction Law and by Best Lawyers in America. Paul was a member of the Construction Law Committee and Real Estate Law Committee of the Association of the Bar of the City of New York. He remains a member of the City Bar, and is a member of the American Bar Association and the Westchester County Bar Association. Paul is active in many local and national construction industry groups and trade associations, and participated in numerous seminars and written articles on construction, procurement and infrastructure law. Paul is a graduate of the State University of New York at Binghamton with honors, and a Brooklyn Law School merit scholar.